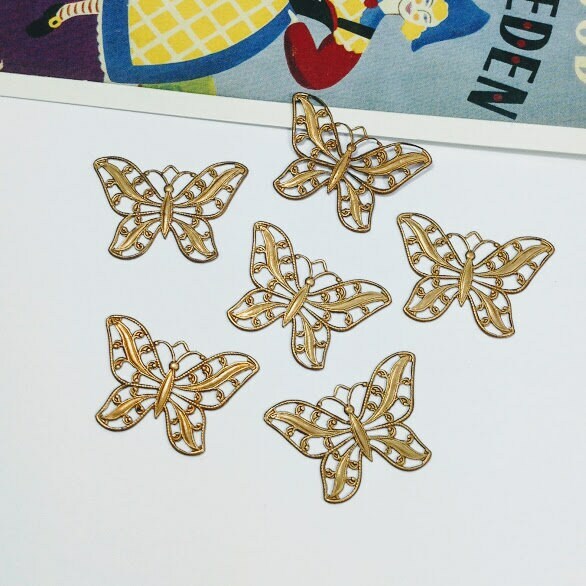 6 vintage brass filigree butterfly charms, from the 1970s in an Art Nouveau style. 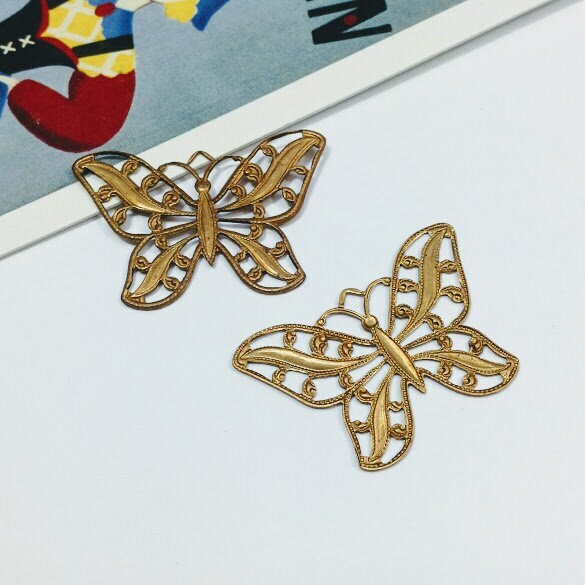 These pretty butterflies were made in the USA from thin, but stong and detailed raw brass. 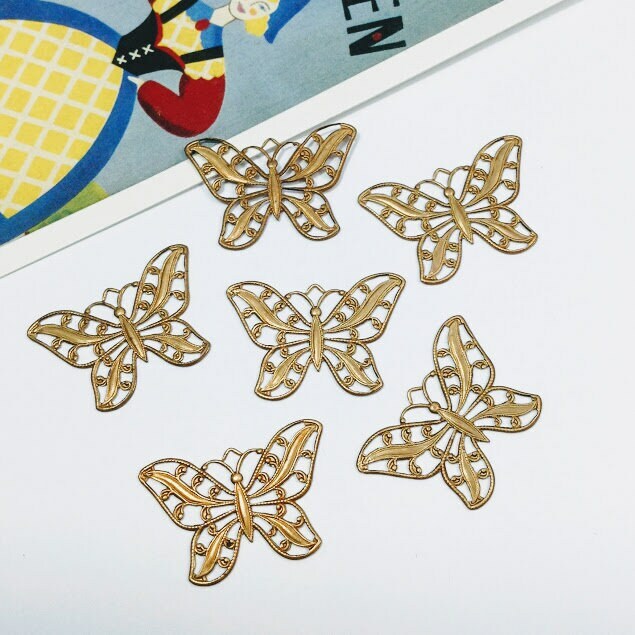 They may show light patina.